What could be better than buying a delicious lunch from an innovative food truck? How about eating dinner and dessert at 18 of them at once? 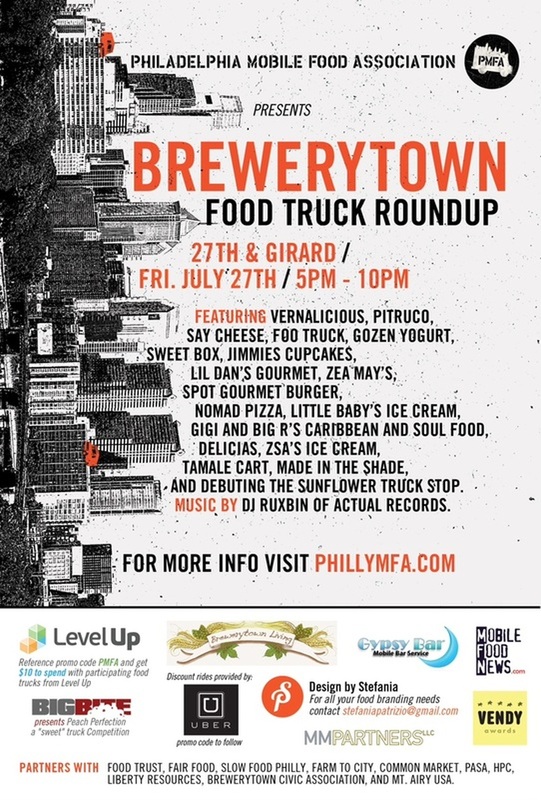 If you’re in the Philly area, head to the Brewerytown Food Truck Roundup tonight (27th and Girard)! Philadelphia Mobile Food Association is partnering with Fair Food, Slow Food Philly, and Farm to City (among others) to pull this event together. Local food, lots of choices, and live music should make for an awesome Friday night!